This summer, a group of BASIS Independent Silicon Valley students worked together to donate 2,000 pounds (literally, a ton) of school supplies to low income students in the Alum Rock Union Elementary School District. This amazing endeavor all started with one of our students, Dennis W., and his simple observation. He read an article in the San Jose Mercury News about the Alum Rock Union School District’s mishandling of money, which was causing many negative implications for the district’s students, including the risk of little to no school supplies or learning materials to start the year off. 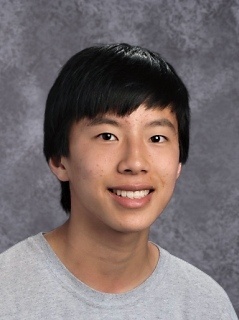 As part of BISV’s Key Club, he usually has an eye on giving back to the Silicon Valley community. This seemingly large challenge didn’t seem too insurmountable for Dennis: he got fast to work thinking of ways to tackle the issue of a district with no supplies. Money would definitely be needed. How to get it, though, was the challenge. Dennis facilitated a used book sale among BASIS Independent Silicon Valley families where a portion of the money from the sale would go to their cause. After reaching out to some of his fellow National Honor Society classmates about his idea, the team quickly grew and the project increased in scope. About 20 students helped from start to finish; many were on the front lines with Dennis in managing the book sales, and others carried out equally important roles such as storing and transporting books and supplies. As the project was first getting off the ground, the team contacted a few schools to share their project and gauge interest for receipt of school supplies. Mathson Middle School and Cesar Chavez Elementary responded that they would be thrilled to partner with BASIS Independent Silicon Valley. Dennis and others met with Vince Iwasaki, the principal at Mathson, to learn more about the needs of their community. BISV students reflected that this conversation was an eye-opening experience in learning about the unique challenges that face different communities within Silicon Valley. They learned about the different lifestyles of families in the Mathson community and felt even more inspired to exceed their goals for the drive. Our team very much appreciated the chance to talk to Mr. Iwasaki to learn more about the students their drive would support. After the sale, the team used the money raised to purchase fresh supplies for students. They even started a GoFundMe to gain any additional financial support they could to reach their goal. Dennis explained that while not all aspects of the drive were successful, they were still able to raise enough funds to buy 2,000 pounds of school supplies—a massive undertaking and remarkable victory! We could not be more proud of our Bobcats for their time, efforts, and determination. Thanks to Dennis, this will be an annual event at BASIS Independent Silicon Valley. He is grateful to be able to attend BISV, and he is even more grateful that he is able to give back to his amazing community. For more on the story, check out the San Jose Mercury News coverage of the efforts.